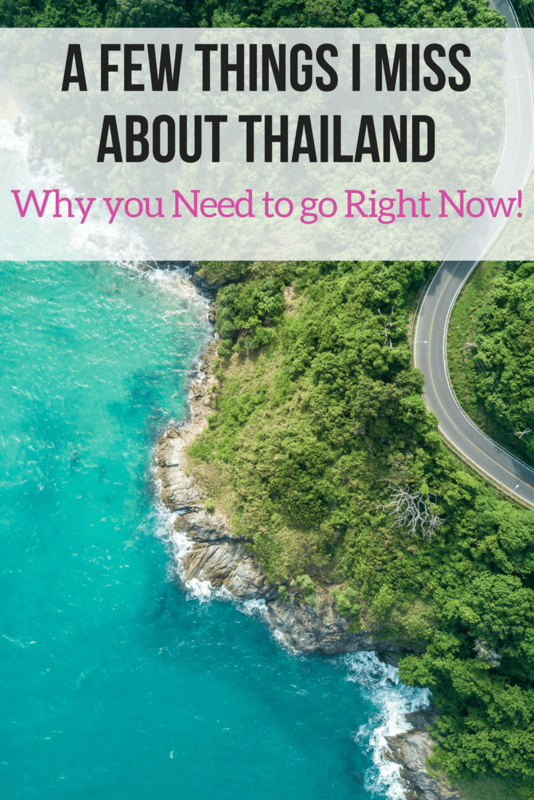 A Few Things I Miss About Thailand and Why you Need to go Right Now! Thailand is a beautiful place, filled with amazing sights and kindhearted people. I’ve been lucky enough to visit Thailand several times, each time I leave I feel like there is a part of me missing! 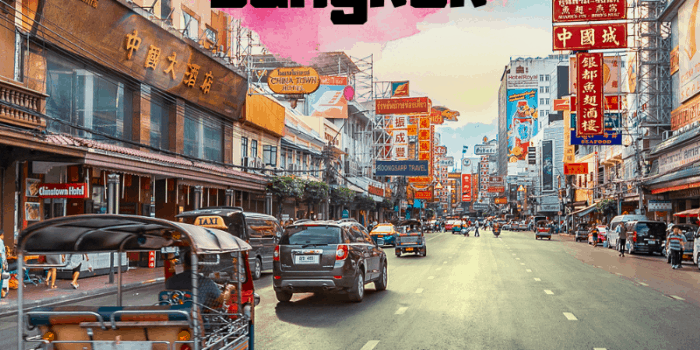 Need data for your trip to Thailand? We use Tep Wireless which offers unlimited data for $8 per day. Travelling King readers can get 10% off using the discount code TRAVELLINGKING on check out. 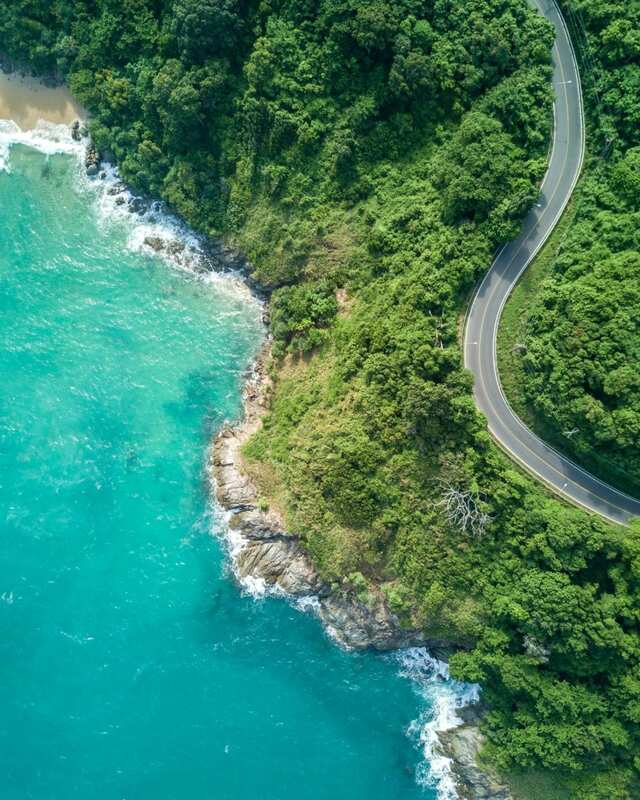 Bali vs Thailand:Which Should be your Next Travel Destination? 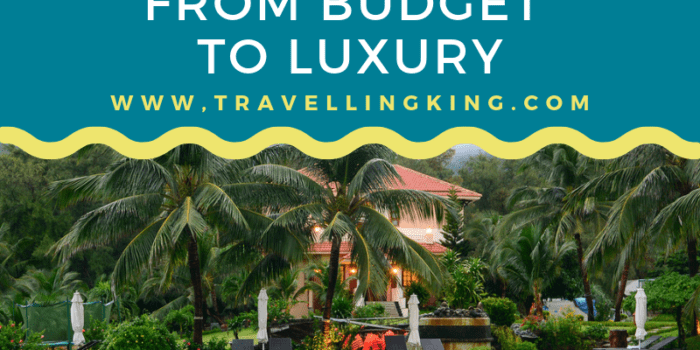 Where to stay in Phuket– Where the party is or calm and relaxed? 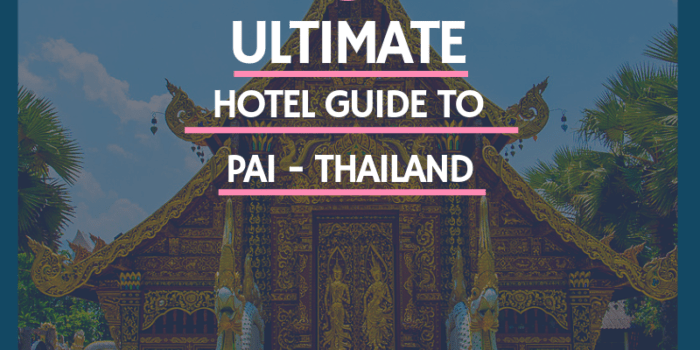 The Best Places to Stay in Phuket! Have you heard Thailand is the Land of Smiles? It is totally true! The Thai people are also so willing to help! They also have such drive to help their family (I wish more westerns were like this, I’m sure the world would be a better place if we took on the Thai way of life!). The Thais are always polite and care about their appearance and behaviour towards each other. 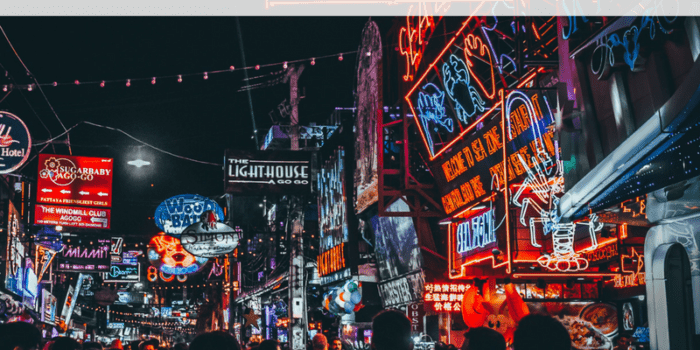 Although you wouldn’t know that walking down Bangala road in Patong but with that said, everywhere has a sleazy street. People in Thailand are kind to each other!! The Thais don’t get angry often and don’t accept when you are aggressive towards them, you don’t get very far..
Thailand truly does have some of the best beaches in the world. It is my version of paradise! 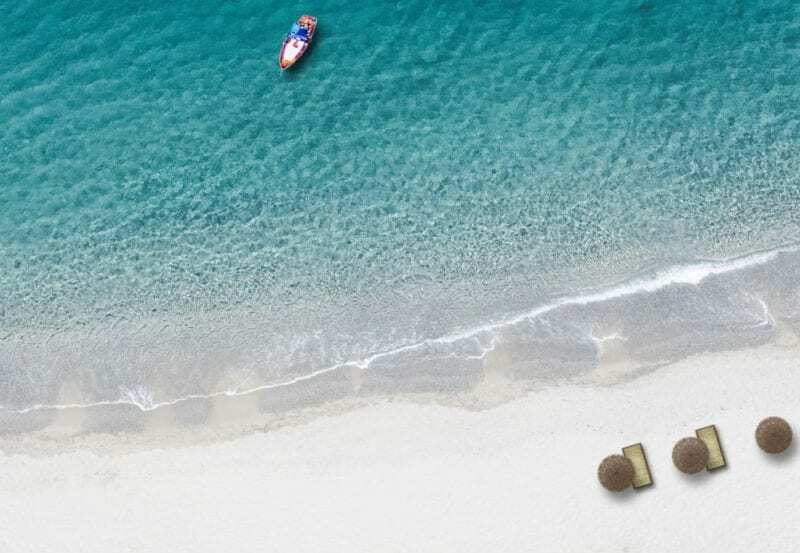 Most of the beaches are loacted in Phuket or Krabi – the main resoirts and tourist areas. There are very few remote or deserted beaches but if you go to Thailand in low season you can really enjoy the beaches without heaps of crowds, or go to less popular beaches like at the beach at the Aleenta resort in Phang Nga Phuket, it is peaceful and quiet there. The water is always warm but refreshing. I know I can easily sit on the beach for days, watching the world go past and not have a care in the world! Thailand not only has great tasting food but it has such a great array of foods, both Thai and Western foods. Thailand knows no bounds when it comes to adding chilli to everything! Make sure to say “mai pet” which means not spicy, if you aren’t a fan of chilli. 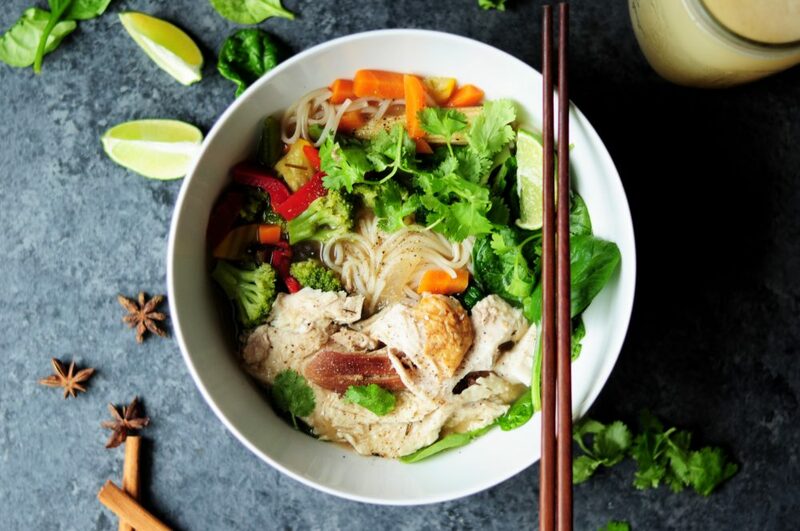 Once I had a green curry and asked how spicy it was, the waite replied “not very spicy – mild”… that should have been the give away, minutes later I was asking for several glasses of water and milk, the waiter brought them to me laughing! I would have laughed too, if it didn’t feel like I was breathing fire! I will miss walking down the street and being able to buying food from a cart, I WILL miss little pork balls on a stick… I will miss the sweet sweet taste of pineapple.. I WILL miss fried rice for breakfast, yes heard me right, fried rice for breakfast!! I will miss the very cheap, very tasty cocktails. In the words of Mr T “I pity the fool” who hasn’t tried Thai food! Everything is so cheap in Thailand, a bottle of water is 15B = $0.50 AUD, a bus ticket is 20B = $0.68 AUD. 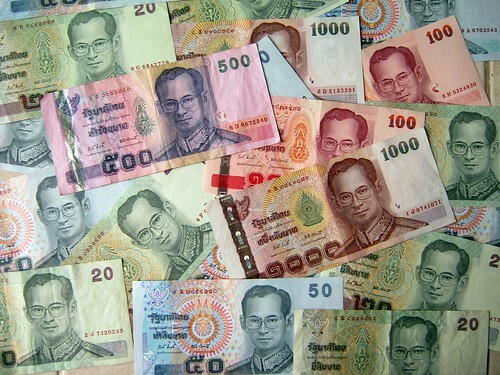 You can easily live on $1000 AUD for a month in Thailand especially if you shop and eat locally. Accommodation is also fairly cheap, I’ve seen areas where you can rent for a house for 8000B = $312 AUD per month. Bartering/bargaining for food or other goodies is a part of life and a fun way to shop here in Thailand! You can eat out every night, get driven around everywhere, get your nails done and have a massage and not be out of pocket. Everyone is relaxed in Thailand, there is no sense of urgency to anything, you get to do things on your own time at your own pace, there doesn’t appear that there is a lot of stress and rush. With that said the drivers are insane – its organised chaos! Organises chaos…. brings me to my next point, the drivers in Thailand. 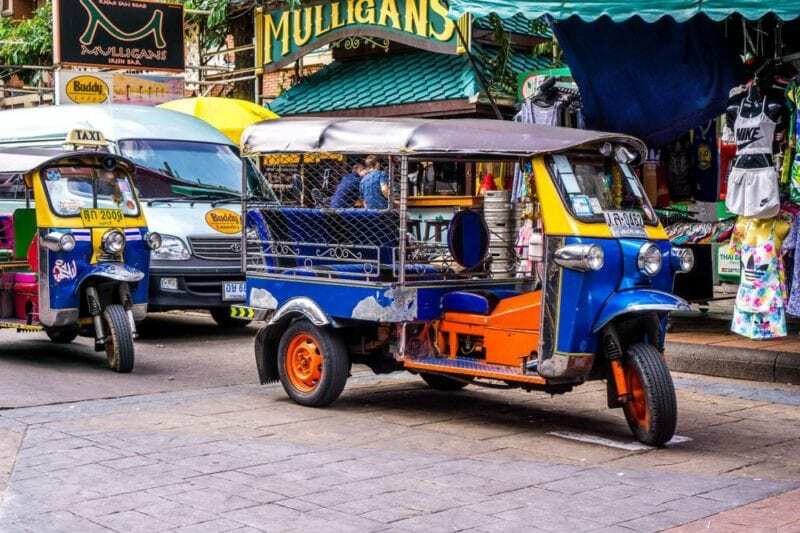 The insanity of driving around in Thailand will forever haunt me (haha i’m kidding!)! We were never brave enough to hire a car or scooter and drive around ourselves for fear of (A) causing an accident (B) being involved in an accident (C) always being in the wrong in an accident. When I think of drivers in Thailand, I think “Organised chaos!” It’s chaotic yet, somehow it works?!?! People on scooters whizzing around the place with no helmets on, that is just dangerous! Most locals will only wear their helmets or abide by the speed limit at the end of the month as we were told this is when the police will come through and fine them. Red traffic lights are more of a suggestion than a “rule”. 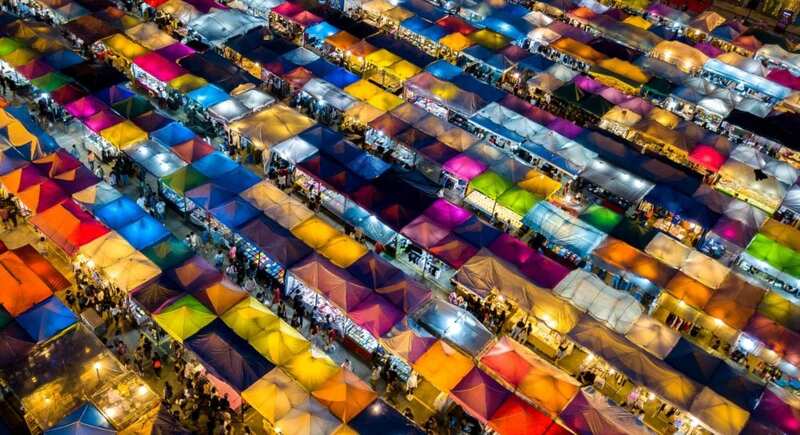 Going to the markets in the evening was probably one of my favourite pastimes in Phuket, the sights and smells were always interesting and the shopping was always fun. It was nice to sit back and watch the kids playing in the car park while their parents worked in the markets, it reminded us so much of our childhood! The Phuket Town Weekend market were probably my favourite, it was much more relaxed and you got a much better bargain, than the patong street markets. This is totally foreign to us and I have to admit a little odd! The thought of putting a drink in a bag… What the!?!?! You would think it would leak everywhere or that you would end up sticky or the bag would break but it was easy to drink, easy to carry! It all makes sense now! Thailand is warm all year round, even when it is pouring with rain, its still warm. The first time we went to Thailand, it was October (monsoon season), we met an English guy there and asked him “how on earth do you deal with this heat” he responded with “you get used to it, it’s quite pleasant”. We only got used to it near the head of our trip. The second time round, we were more prepared for it and were able to acclimatize to it better. Don’t bother taking a jacket or pants, we made that mistake the first time we travelled there, thinking the weather would be much like Australia, hot during the day and chilly (at times) at night. How wrong we were! There is so much greenery and plant life in Thailand but I guess you get that with a tropical island. Thailand has a heap of jungles you can go trekking through or elephant riding to ride on! There are heaps of festival in Thailand like Songkran or the Loy Krathong (my personal favourite!) 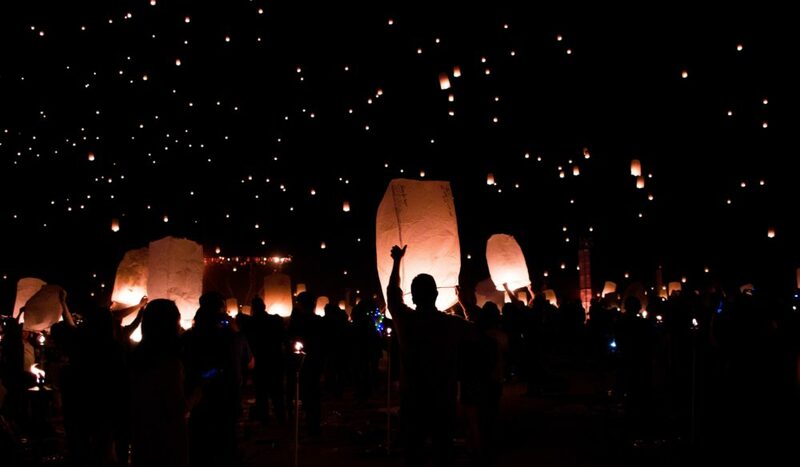 where you get to release floating lanterns. 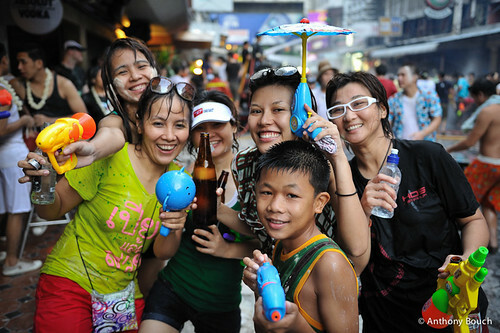 The Songkran festival is basically a big water fight in the streats of Thailand, even the cops get involved! Have you been to Thailand? What do you miss the most about it ? 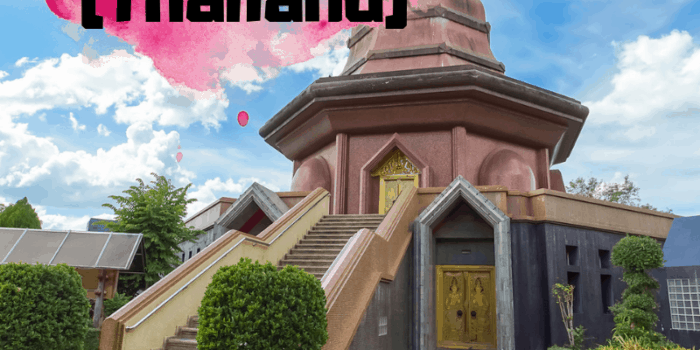 Great post highlighting some of the best that Thailand has to offer! I’m currently living in Bangkok so I try to take advantage of the food, weather, island trips and friendly people while I’m here. I know my heart will BREAK when I have to leave in October! You are one lucky chickie to be able to live in such a cool place and I;m sure when you leave in October, you will take away a lot of great memories! Ah, the Land of Smiles indeed!! I have been to Thailand twice and LOVE it. I didn’t spend much time in cities, though… A couple of days in Bangkok (where I felt like I could’ve had a cameo in The Hangover II) but otherwise I spent my time on sailboats cruising around the western coast and all the islands as well as in the Gulf of Thailand. I’ve been feeling nostalgic for it lately and so have spent a lot of time looking at my photos from those trips. A link to the ones from my 2012 trip is below if you’re interested! Wow, a sailboat! That would have been very cool! Love the photos! particularly the little crab holes.. its like crazy art! There are so many things to miss! I miss the incredibly nice people and the street food. I became so spoiled by being able to snack all day long and eat a delicious dinner for under $5 (which was only that expensive because I had to have a fruit shake). Thailand does spoil you, doesn’t it!! It was hard to come back to Australia where you were lucky if $5 would buy you a drink and a small bag of chips! NO $5 meals here! Thats a lovly story! Sadly sometimes its hard to chance plans when a country goes into unrest or protests but you just make the best of it. You should head back (with no protests!). Thailand is a wonderful place! What a cool post! When I went it was about 10 years ago and there are so many new things I would try there if I went back this time, like being a bit more adventurous with food, trying street food etc. 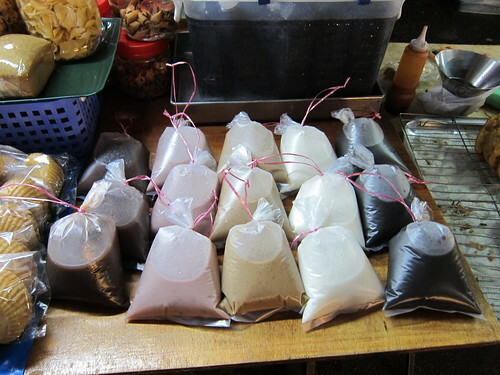 I never knew about the drinks in a bag phenomenon though and I also learned the hard way that their definition of “mild” is very different to mine!